Five years ago Alpbachtal connected to Wildschonau to create SkiJuwel ski resort with more than 110 km of marked runs. Two years ago Lech / Zürs connected to Warth – Schröcken creating a ski area with more than 180 km of ski runs. Last year we saw Saalbach-Hinterglemm connect to Fieberbrunn to create a huge interconnected ski resort with 270 km of marked runs. 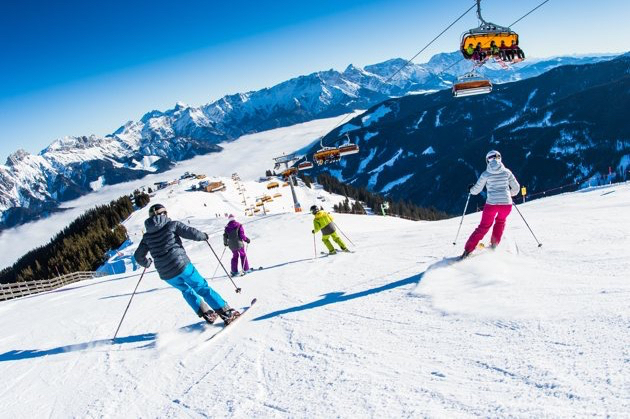 The new Saalbach-Hinterglemm-Leogang-Fieberbrunn ski resort connects Tirol with SalzburgerLand. Still, none of these develoment took the title of Austria’s largest lift-linked ski area from SkiWelt am Wilder Kaiser offering 280 km of marked ski runs. As the summer comes to an end it is time to think about the next ski holiday. Alps are huge mountains which offer loads of accommodation options, however, the best deals get booked out pretty quickly. Here’s our overview of 2016/2017 ski holiday season for you. It should help you plan your next skiing getaway. Free Ski deals became very popular in recent years. We received many enquiries about them in recent years and prepared the very best free ski pass offer on the market. You may now choose from more than 300 apartments and hotels. When booking a free ski holiday you can save up to 30% in comparison to what you would need to pay when purchasing accommodation and ski pass separately. 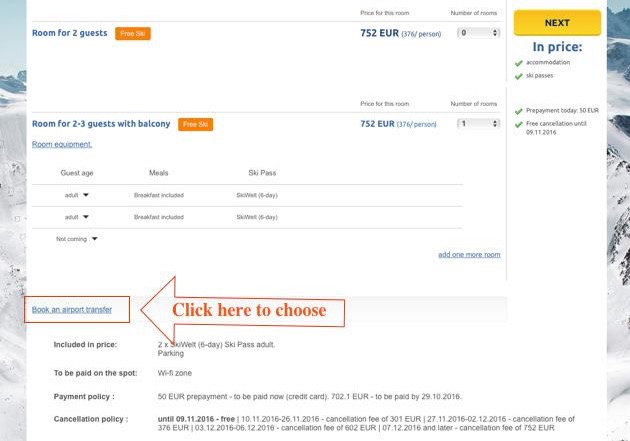 What is more, it is now possible to get a free ski pass throughout the season in some places including including Italian ski resorts of Bormio and Passo Tonale. For example, here’s a list of free ski pass deals for February 2017. Have a look. Just like last year we have great deals for groups. If you plan to book 5 rooms or more, [please get in touch() – you are eligible for a special price. Our staff will be happy to help you. End of November and beginning of December is the time of ski openings. Many skiers start the season with a free ski pass deal in one of Italian ski resorts. December is a great time to go skiing if you are looking for a cheap holiday. Days are short but the lifts work 8-16 so one can ski full-time. Low temperatures, big snowfalls and few people on the slopes guarantee excellent stay. Our picks for December 2016 free ski holidays include Italian resorts of Livigno, Bormio and Madonna di Campiglio. Year after year more people decide to go skiing over Christmas. 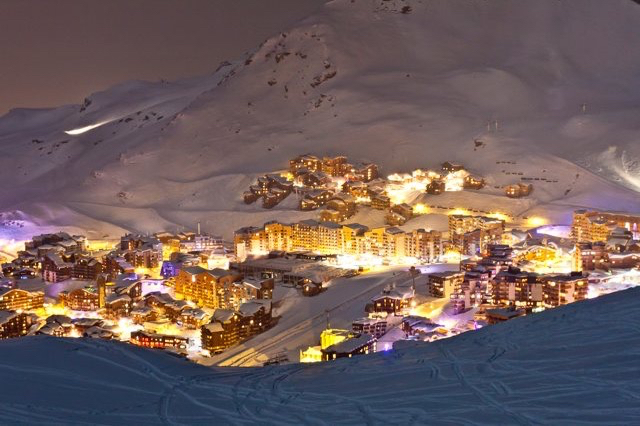 Christmas ski holidays are not as popular as Easter but they are very well worth considering. There are not as many people on the slopes as during the New Year week. And the prices are up to 40% lower than week later. Finally, what’s a better way to spend time with a family than active getaway together? December 31, 2016 is on Saturday so New Year 2017 ski week lasts till January 6th. If you planned to go the usual December 26th – January 2nd you are going to have a much more limited choice. The New Year period is the absolute top season in the Alps. Rates are up to 100% higher than what you see in January and so is the number of people on the slopes and in resorts. 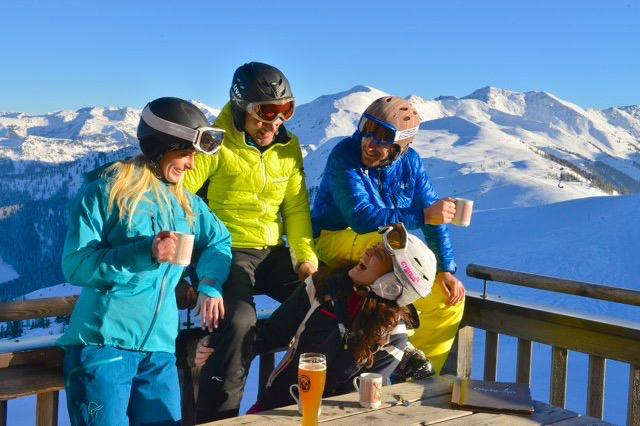 We only recommend New Year ski holidays to those who look for a lot of parties or have no choice in terms of dates. Once the New Year skiers depart and before the February half-term skiers arrive there are three weeks of January 2017. The demand in these weeks is so low that Austrian hoteliers call that period a „January hole”. In fact, January is a great time to go skiing on a budget or if you are looking to practice these wide carving curves on empty slopes of your choice. As a bonus, skiing is the best way to spend the most depressing day of the year. The second and third week of February belong to the most busy weeks during the ski season in the Alps with only the New Year week being busier. This is because nearly all European countries have a school break at that time and families flock to the ski resorts throughout the Alps. The good news is that February is an extremely safe month when it comes to conditions on the slopes. The snow will be there no matter where you go. The choice of ski holiday deals for February 2017 is huge and we have some really great deals. If you are on a budget, our February Free Ski Deals list will be of help. March is probably the best time to go skiing for leisure skiers who are not limited by their kids’ school obligations. That is, if skiing is going to be just a part of your holidays with sunbathing playing an important role, go skiing in March. The slopes are full of snow but the days are getting longer and more sunny days and the sun is a stronger. Having an afternoon drink on a sunny terrace of that ski bar is a real pleasure. If you go in early March, things are pretty much the same as in February – ski runs are hard and well-groomed throughout the day. In second part of the month, though, it is wise to pick high altitude ski resorts which tend to have lower temperatures. My personal preference for late March ski holiday is to be the first on the slope, ski hard till 1-2 pm and call it a day. I have a long, lazy lunch with a glass of wine or beer and enjoy the sunshine before descending to the resort for apres ski activities. I go to bed early to enjoy a full night of sleep. Try it yourself. Typically, the ski season ends at the end of March and beginning of April in most Alpine destinations. For those located in the lower parts of the mountain chain, the last day of the season is closer to second part of March. Resorts at higher altitude and those with plenty of north-facing slopes usually close in the first half of April. 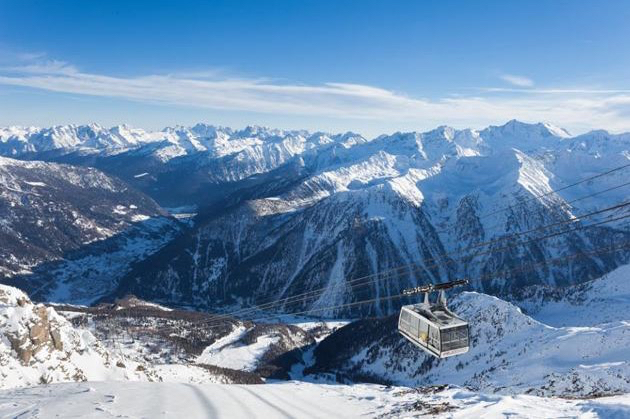 In fact, after April 15th, only the high altitude resorts remain open, where slopes go all the way up to 3,000 m above sea level, such as Livigno ski resort in Italy or Val Thorens in France. Another category comprises of glacier ski resorts, many of which remain open well into May. If you are not willing to take advantage of the Livigno free ski pass deal in April,we recommend not booking until the last minute. Simply wait and keep checking the snow conditions to make sure you will be able to ski as much as you intend to. Also, we have plenty of great last-minute ski deals at EuropeMountains.com. Get in touch with us and we will be happy to help. That’s it. The entire Winter 2016/2017 ski holiday season month by month so you can pick the best time for your own holiday.